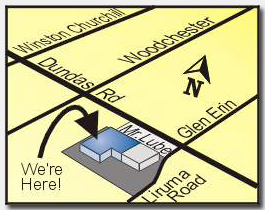 We are on Liruma Road, just south of Dundas Rd. West in Mississauga, right behind Mr. Lube. Liruma Rd. 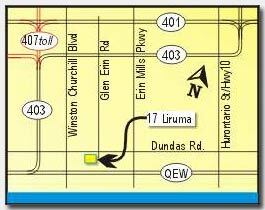 is the southern extension of Glen Erin Drive, and is half way between Erin Mills Pkwy. and Winston Churchill Blvd. Click here to view or print a map, directions and contact information for personal trainer mississauga.